Are you tired of the look-alike quartz and granite countertops that dominate today’s home design sites? Are you interested in something more unique for your kitchen? Or, maybe you want to give a bathroom or a small coffee bar a distinctive appearance? Whatever your reason for searching beyond mainstream countertop solutions, check out these unusual finishes! 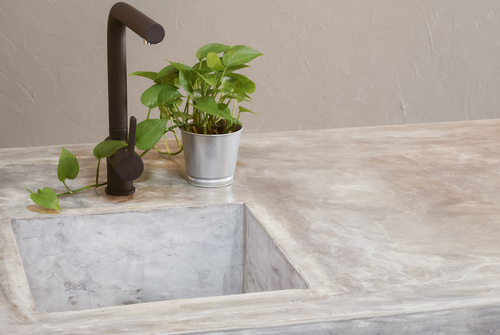 One of concrete’s solid advantages is its ability to be “poured-to-fit” your countertop space, allowing for countless design possibilities: unusual shapes, rounded waterfall edges, and embedded materials, to name a few. Concrete countertops don’t have to be gray. Colors can be soft or bold and surfaces can be etched, stamped, polished, or left rough. 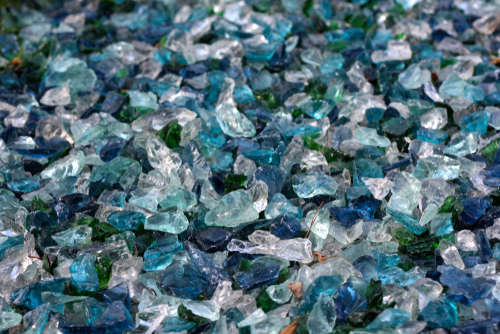 Additionally, a wide variety of objects can be embedded into concrete, including mosaic designs, sea glass, pebbles, pieces of stained glass, or even fiber-optic lights. If embedding objects inside your countertops sounds appealing, take a closer look at epoxy, which can be used to display pennies, pebbles, seashells, newspaper collages, slices of geode crystals, and cross-sections of tree branches. Epoxy comes clear or colored, along with various special effects, like metallic finishes. You can use different colors to create a swirling “acrylic pour” design or to imitate natural stone. Add glitter, rhinestones, or whatever objects your heart may desire. Move over butcher block. When it comes to wood countertops, there’s a new kid in town. Live-edge wood incorporates wood’s natural edge, instead of trimming a plank into a uniform, straight edge. 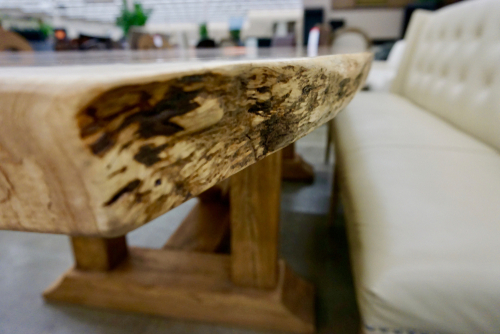 As a countertop, live-edge wood is usually cut from a single wide slab from various tree species. It can give your kitchen a warm, organic feel with a one-of-a-kind creation. 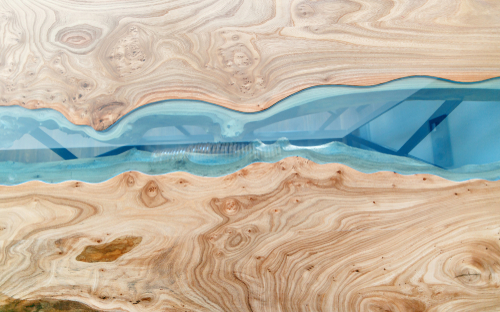 Another option that combines the last two countertop techniques involves creating a “river” within a wood surface. Blue or turquoise epoxy is added to a hollowed-out strip running through the middle of the wood. Sometimes the path of the river occurs as a natural defect in the wood. Alternately, you can create your own river, filling the space with “water” in the form of colored epoxy. 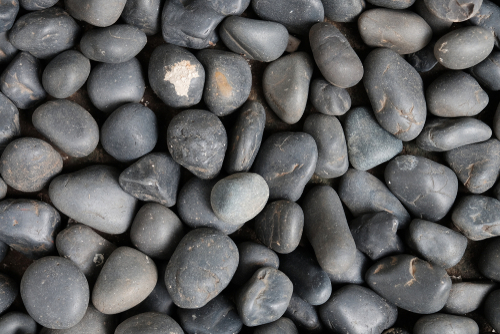 Some companies offer semi-precious stone slabs. If your budget can take the beating or you only need a few linear feet, your countertops can provide a dazzling display of golden tiger-eye, blue lapis lazuli, rainbow labradorite, green malachite, rose quartz, black onyx, or various shades of agate. If you want to give your entire kitchen the “top chef” treatment, consider stainless steel appliances with matching countertops. It’s sleek, anti-bacterial, and stain resistant. Would you rather summon thoughts of an old Parisian bar or a rustic farmhouse? 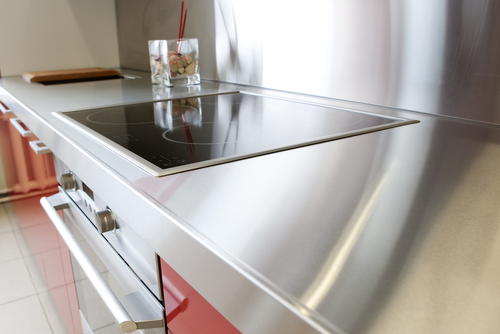 Try using zinc instead of stainless steel, which develops a blue-grey patina if you don’t polish it. Or, you might prefer pewter. It will acquire a darker patina over time unless you seal it. For a warm metal glow, check out copper. It’s expensive and requires weekly polishing to maintain its rosy glow. However, it may provide the perfect finish for your kitchen surfaces. Whatever material appeals to you, don’t be afraid to think outside the box and use countertops as a way to express your creative style!